I am constantly amused and perturbed by the unintentional irony that many safety professionals surround themselves with when discussing issues of our profession and the paradoxes they create. So much so that I decided to do a little social experiment of my own. Certainly not on the scale of Facebook but interesting none the less. I had the opportunity to interview a number of candidates for senior safety roles and decided that I would base my questions around the paradoxes that arise in the world of industrial safety. “assume you are being interviewed for a senior position and the CEO during the final interview says to you – look, we have tried complying with all this legislation by writing processes, procedures, checklists and all this paperwork is just killing us. From now on we are going to make a conscious decision to manage these matters based upon the risk that is faced by our frontline staff and not on creating some sort of bureaucratic ballistic shield”. I asked each candidate what their reaction would be and how they might respond to the CEO. These were sensible, well qualified, experienced individuals who understood the need to change. Without exception they said that they would advise the CEO against this course of action and may even turn down the role if they were to be offered it. None seemed to see the pure risk management opportunity in what the CEO has said. I decide to push the point. Isn’t it the case, I asked, that the more paperwork you create the greater the risk that there will be a mistake in its completion and that as systems become more complex you just won’t see your weak points. They agreed that there was logic in eliminating unnecessary paperwork from any system it was just that all their paperwork was needed even though it was this very paperwork that was targeted by regulators and often use to effect prosecution in the absence of any causal link. They were all locked into the thinking that prevents change – overestimating the value of what you’ve got and the risks of moving to something new (even if it’s obviously more sensible). I pointed out that the systems they were defending were often the sole reason they fell at the hurdle of reasonable practicability and rather than help, this administrative mountain often hindered. They all agreed but all took great comfort in pieces of paper, and if this didn’t work more paper was the answer. More complexity. It is of course important to remember that this approach is not about simplification rather it’s about changing the purpose of a written management system which may then result in simplification. If we don’t focus on why we do things rather than what, then we run the risk of becoming as dogmatic as those we accuse of this crime. John I would have taken the job in a heartbeat, thanked the CEO for having an open mind and would have been truly excited (first time for a while) in taking up the opportunity. Paperwork, a new form, a new checklist a new procedure surely that will solve the problem. I’m sure it’s how religion started, someone put together some great sermons, thoughts and ideas, put it in a book and 2000 years later it’s so sacred you can’t change things that don’t make sense anymore. Exaggerated I know but that’s how safety people get about their systems. It’s there to serve you, you are not there to serve it. I will climb down off my high horse now.. Thankyou. – the stages of cultural maturity (such as Hudson’s) where those (both organisationally and personally) in the upper generative area may in my mind be more likely be more open to the idea of a pure risk approach. In an abstract way there are similarities with the matrix movie, where one has to see past the immediate, the obvious and the present, to what lies behind and beyond. – Discussions by people such as Hopkins on ‘mindfulness’ and where both organisations and the persons you interviewed are at in their journeys. The idea of approaching safety differently (pardon the pun) from a more pure risk perspective is both extremely exciting and daunting at the same time. There is great possibility and benefit that would be made much easier and much more quickly should the context and the ‘requirement framework’ change along with personal realisation and recognition that ‘what we currently do’ does not work so well. I don’t offer these as excuses for the status quo, but for me they highlight for me some of the ideas and concepts that may need to change for us to truly be successful. 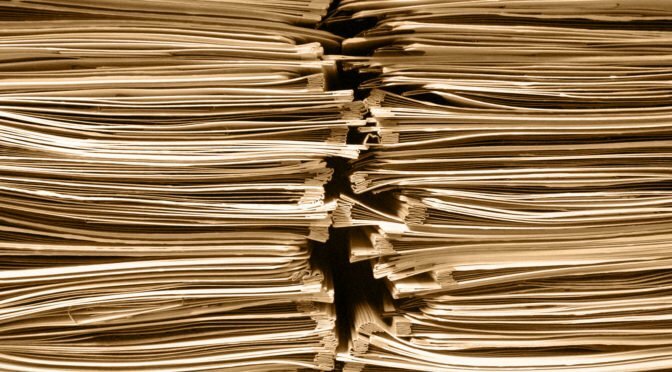 Its seems like a common discussion for many about the perils of paperwork versus engagement, but the average person will always fall back to the need to ‘arse cover’ through paperwork or ‘evidence’. The experiment should continue to ask the question as to how many times the Australian WHS Act or Regs define the requirements for documents to be kept and maintained by a PCBU. I bet it doesn’t equate to the average 1000 page safety manual, but the notion that a persons word cant be trusted in court with out supporting evidence of a conversation on managing a risk, inspecting an activity, or sighting a licence, is detrimental to safety in itself. How can an organisation have a culture of trust in its people when its systems are built on mistrust? Even the OHSAS 18001 standard doesn’t mention the word ‘register’ anywhere, yet during an audit they come out of the wood work as proof, as evidence, of managing safety effectively. In fact the standard is pretty clear on the documentation requirements, and in the list of 5 requirements it doesn’t imply a site level safety person to be in an office all day catching up on paperwork. The other common dilemma for the ‘safety professional’ in the field is office time versus outdoor time. They’ll blame the paperwork for keeping them in the office, even when at times it is them that have created the very beast they are enslaved to. Yes, its not always the way, but engaging with people on the job will reduce the paperwork just as a matter of course if the person is competent enough. Maybe we just use a Go-Pro and voice recorder, just like the police do now as the safety professional’s form of evidence recording on the job. I agree that the paperwork is only a front for not being confident in engagement. As long as you are not incapacitating or killing anyone you’re not doing badly. I work in construction. It’s a high risk industry. The paperwork system you can catch up on when it’s raining. However get out there with the worker and most importantly earn their respect. To do that you have to know the processes in their job as well as they do. Help them put the risk management into their task planning. You have to allow them to use their core competencies and take a few risks. They will feel empowered and your workers will listen and cooperate not just comply. I agree that you set boundaries with procedures but you don’t live your life by them. Safety is a feeling state, invariably fleeting before work resumes – it is not sufficient to describe the profession of those assuring protection against undue hazard. By any observational standard of normative usage, “Safety Management” is an oxymoron – a faulty heuristic before the natural language inferences about safety which humans make largely from the limbic portions of the brain – long before any reflective consciousness (aka management) even kicks in. The reflexive notion of “safety” described in this tableau is primordial; it’s the one biologically embedded in our mid-brain structures supporting raw survival. There is no paperwork involved and never will be. At the level of Common Sense pleas for “compliance-based safety” are just “off” – discordant, grating, and instinctively unattractive. Invocation of “Safety Management” demands the listener overcome this instinctive discord – is such usage mindfully convenient or mindlessly hasty? Perhaps it’s time to be more careful in how we term the diverse and increasingly complex thinking and effort that goes into those protection features and their mindful employment? The post-Newtonian world view of any professional stance surely demands that. This is a timely discussion. We are currently considering potential new chapters for the OHS Body of Knowledge. This issue of documentation, rules and procedures has come up. How much and what type of documentation is helpful to effective OHS? 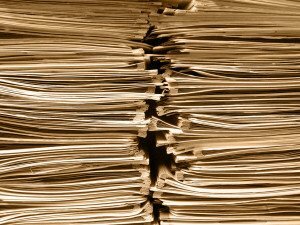 What type and what usage of documentation actually hinders OHS? What is the role of legislation and case law in generating documentation? Is it the legislation or is the perception of what is required for ‘arse covering’. A survey by the AiGroup found that “OHS red tape and compliance costs are the biggest regulatory burden for businesses and their CEOs”. As an aside, the ABS 2012 Language, Literacy and Numeracy survey found, among other results, that 46% of Australians rated 1 or 2 (on a scale of 10, where 10 is the highest ) for document literacy and 60% rated at 1 or 2 for health literacy. What does this indicate for the ability of most workers to understand and apply most of the documentation in the workplace? The OHS Body of Knowledge is not about generating another ‘how to’ but about defining/developing the conceptual base for practice (which may include developing documentation). What is the research or evidence base for the effectiveness of documentation? Andrew Hale and David Borys have done some work in this area. Fabienne Knudsen wrote in Safety Science that rules and procedures in the Maritime industry were seen as overriding practical experience (SS, 47 (2009) p295-303). The actual evidence base and academic discussion on the topic is quite limited. This Safety Differently discussion show that there is a need to not only develop that evidence base but to incorporate it into OHS education and professional discourse. This what we hope the OHS Body of Knowledge is about. Where to from here? Our approach to a new OHSBoK topic is to convene a Topic Specific Technical Panel (TSTP) comprising OHS professionals and academics working in the area. The TSTP then refines the objectives and scope of the chapter, identifies key players and develops the methodology and oversees the process. The methodology may include workshops, literature review and ‘research’ through interviews or other methods. We usually have a key facilitator or author. This is the approach we would like to take with this topic, the only hindrance at this stage is funding. The four new chapters about to be launched have been funded by Safe Work Australia but this is not likely to be a source of funding for the future. I am currently considering corporate funding for this topic but this is also challenging. As a way forward, if any of you making posts or reading this Safety Differently discussion are interested in being part of the TSTP/working group for an OHS Body of Knowledge chapter on ‘Rules, procedures and documentation’ (or whatever it is titled) then email me directly at registrar@ohseducationaccreditation.org.au. If you think your organisation may be interested in funding the chapter development or being part of a consortium of funders I would be keen to hear from you. Please note the OHS BOK is about the conceptual knowledge underpinning practice, it is not a ‘how to’ so the outcome will inform practice but not define practice. Keep up the discussion, this is likely to be one of the most important discussions for OHS practice. The perception of over documentation, a compliance mentality and ‘red tape’is not only impacting on safety but on the perception of OHS as a profession and our ability to influence. Informing but not defining sounds good. I’m happy to learn more about the current needs/opportunity to incorporate a ‘safety differently perspective’ into the BoK. This topic is a particular passion of mine and I’ve truly enjoyed the discussion. The one theme that comes out is that safety management has both a goal – that of a site that is, as far as practical, operating safely and a path – being able to show consciousness and due diligence in getting to that goal. The later is both to be able to demonstrate to stakeholders good and weak performance and to guide the process. With regard to process – whose safety process is this? operations, production & maintenance or the safety teams’? We all know that the answer is that HSE is owned by the O&M teams and supported by the HSE team – so why does the HSE team create a “paper tiger” to meet their own fear/legislation-driven needs and not for the end users who “simply” want to be safe as part of their every day job. If one comes at safety from the end-users perspective then the paper tiger will just have to be slain if you want to stay in business. While I agree with much of your report about the virtues of keeping documentation clear and direct – virtues which would reduce the amount of documentation pages in many work places – there is one point I would open for further consideration. You stated: ” i agree that we need these documents to a point, but at times i think we forget who our audience is, the worker.” I don’t want to put words in your mouth or take what you intend out of context; so what follows are perhaps only a string of reflections that were triggered in me by your statement. 2. Do the Mission Safely. The former takes as its point of departure the hazards presented by the work. We recognize that much work involves hazards which can both harm workers and diminish Total Performance; and it is natural to put prevention of harm to people ahead of defending the environment and then preservation of equipment from damage. At root Do Safety is people-centric because “safety” is a feeling state in which pain and fear are absent. Safety professionals carry the bulk of the specialty knowledge about Doing Safety, they support other professions in getting the work done. Doing Work Safely takes a somewhat different stance. Total Performance contains aspects both in Production of new value, and in Protection of all existing valued assets – setting the goal at achieving the Mission outcomes in an adequately Protective manner can enable everyone to focus on the same end in mind. In this stance, the ability to lead hazards analyses, identify protective or risk mitigation strategies and such because one more element of effectively managed Total Performance. In straight-forward familiar work, a buddy system between the Production specialist and the Protection specialist doesn’t have to represent a strictly-boundaried division of responsibility but a relative blending of distinctive but over-lapping experience and learning from complementary perspectives on the work to be done. From the Do Work Safely stance, there are still statutory and institutional documentation requirements, at times some will indeed be onerous on one job and yet turn out to be life-saving on another. Focus on the Work takes mindfulness of why the institution exists along with acknowledgment of the various skills that must be mixed to get the Mission accomplished. Sometimes focus on the work helps to reduce interdisciplinary competitions; almost always to the good of a safer workplace. Just reflecting. Nice work John. I would certainly endorse your findings and have extensive longitudinal survey research to support the same. I have been in this space for many years now feel that the turning of this tide would be somewhat like changing a long held theological belief. The faith in paperwork and associated delusions are now the discourse of the safety industry. This has been perpetuated for some time by regulators and associations who continue to maintain that safety is about systems, law and mechanics. The BoK is a classic example of the maintenance of this discourse. To all who have commented on John’s article, I am in awe and intimidated by the level of knowledge which is evident by the quality of the responses. One of the themes I picked up was the complexity as seen by the worker who Mark pointed out was in fact the end user or “audience”. I recently stepped down from my “high horse” and spent time working on the front line with the “audience”, getting down and dirty as they say. Keep it simple, concise and relevant and let’s get back to basics. It was made clear that the greatest fear any worker had was being dismissed for missing something which made them paranoid about crossing t’s and dotting i’s but also made them blind to the actual hazards they were likely to encounter. How many times have we seen on incident reports statements such as “person did not recognise hazard” or person did not comply with procedure”, one that he didn’t know existed in the first place. I won’t drag this on and potentially display my ignorance but I would encourage all senior OHS managers, consultants and other experts to also spend some time getting down and dirty. It’s certainly an eye opener. To John Green, I was very excited to hear how LOR was taking on the whole concept of Safety Differently and would loved to have been a part of the experimentation process. I thank you for the informative article. You know, sometimes I feel that I belong to the generation that got the issue of safety up on the table, and generated some of the “fashions” in order to get traction. I wonder if the pendulum has swung too far, and we have created a bureaucratic nightmare? If that is the case, then surely progress (whatever that is) will come from getting back to a reality, and applying an evidence-based thinking to the ever-changing world of work? The problems of today are not the problems of yesteryear, and our thinking has to change. Erik Hollnagel’s Safety II approach is intriguing; Rob Long’s work is just as interesting; Pam Pryor’s work on the BoK is a start: All are from a different standpoint: None existed decades ago.